Jeju and the Korea Boxing Association hosted the 2014 AIBA (International Boxing Association (amateur)) conference from Nov. 9 to 15 at ICC Jeju. This was followed Nov. 13 to 25 by the AIBA Women’s World Boxing Championships at Halla Gymnasium. It was the first time the event had been held in Korea. Including fighters and support staff, 1,500 people from 142 countries participated. 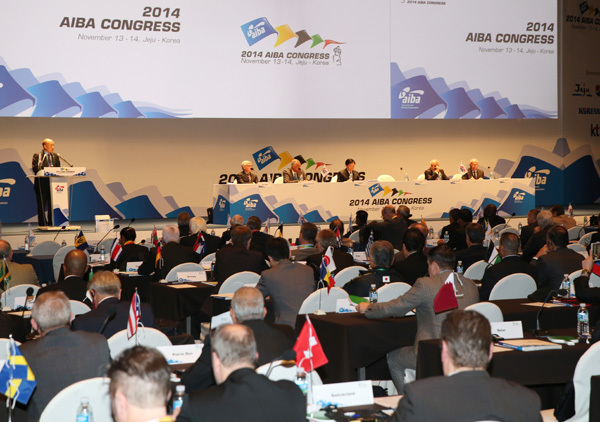 The 2014 AIBA congress is held every four years and the pressing issues in world boxing were discussed. As a leading international sports congress the event is also seen as contributing to international friendship. Major programs held include the congress opening ceremony, AIBA presidential election, the briefing session for the APB and WSB and more.